Henri Malosse, President of the European Economic and Social Committee (EESC), has met and held talks with the Dalai Lama, the exiled Tibetan spiritual leader, in Dharamsala, India, the European bloc informed on Tuesday 11 March 2014. The EESC President is the first President of a European institution to participate in the commemoration of the anniversary of the Tibetan uprising on 10 March. Henri Malosse, President of the European Economic and Social Committee (EESC), has met and held talks with the Dalai Lama, the exiled Tibetan spiritual leader, in Dharamsala in India, the European bloc said in a press release issued Tuesday [11 March 2014]. Malosse was accompanied by a delegation of EESC Members, whose official visit included attendance of the 55th anniversary ceremonies of the Tibetan uprising. During this meeting, the Dalai Lama stated that the "Middle Way Approach" does not mean a claim for independence but actually a genuine autonomy for Tibet. He explained that with China, the economic development of Tibet could grow rapidly. However, it is necessary that education, the environment and religion are handled by the Tibetans themselves. According to him, on the other hand, the economy and defense fall under the Chinese central responsibility. The Dalai Lama also underlined the importance of the fight against corruption, as he considers this challenge a form of violence and a cancer for humanity. He thus expressed his support for the Chinese President, Xi Jinping, in his fight against corruption in his country. He asked the Malosse to transmit to Xi Jinping a message of peace in the resolution of the Tibetan question during his forthcoming visit to Brussels. In response, Malosse stated his position that the European Union should not negotiate on the fundamental values such as the respect for human rights and the freedom of expression. 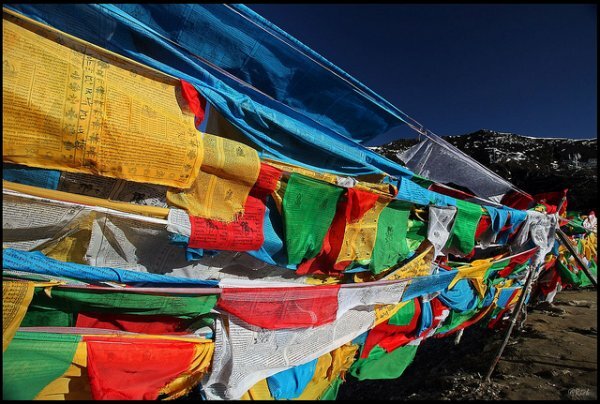 The EESC President is the first President of a European institution to participate in the commemoration of the anniversary of the Tibetan uprising on 10 March in Dharamsala. The Dalai Lama fled Tibet to India with thousands of followers in 1959 after Chinese troops crushed an attempted uprising there. The Dalai Lama, who is currently based in India, previously headed a self-styled Tibetan government-in-exile in India's Himalayan town of Dharamsala. But the Tibetan spiritual leader retired from active politics in March 2012. He has since been replaced by Harvard-educated legal expert Lobsang Sangay as political head of the Tibetan government-in-exile. The post is known as Kalon Tripa, or Prime Minister. China's tough stand on Tibet has evoked international criticism and many nations have urged its Communist regime to hold further negotiations with representatives of the self-styled Tibetan government-in-exile in India. China accuses the Dalai Lama as well as the Tibetan government in exile of seeking total independence for Tibet, but Tibetans insist they only seek greater autonomy for Tibetan parts of western China, and not absolute independence as projected by the Chinese government.